Don't get me wrong, Ha Long Bay is stunning. The karst, dramatic landscape is truly remarkable. 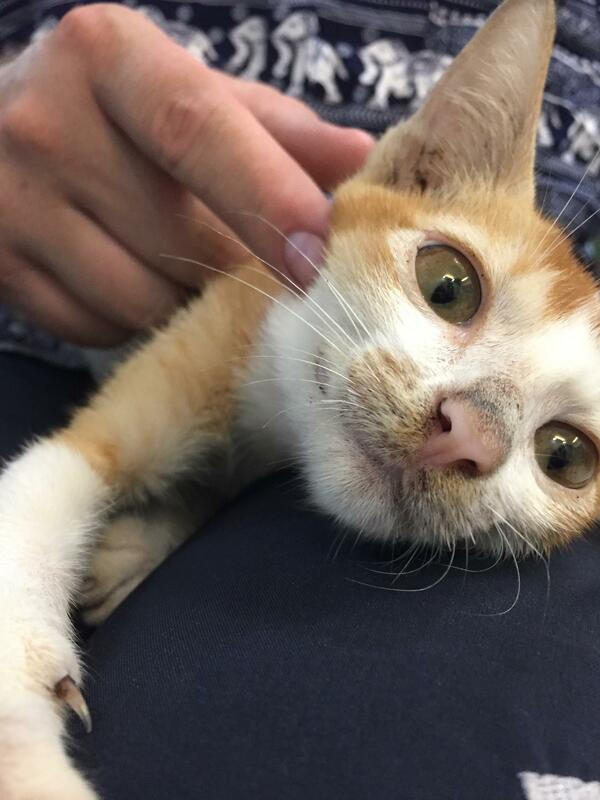 But, after a lot of research, we decided to visit Cat Ba Island for two reasons. 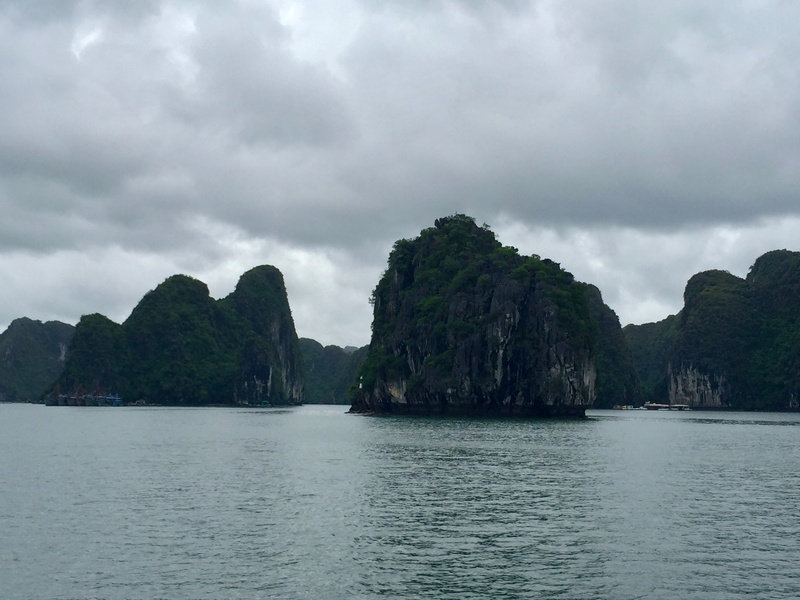 One: it gave us access to the same landscape that surrounds Ha Long Bay (same same, but different). And, two: it's considerably cheaper and less touristy than Halong Bay. Double win! Cat Ba Island lies just south of the famous Ha Long Bay. The island is the largest of 367 other islands that span along the coast of Lan Ha Bay. Cat Ba National Park covers about half of the island, providing home to diverse wildlife and various natural wonders. Interestingly, it's one of the only populated islands in the area, where about 13,000 residents call Cat Ba Island their home, and another 4,000 more reside in the fishing villages surrounding the island. The communities who live on and around the island give it a welcoming, laid-back vibe. 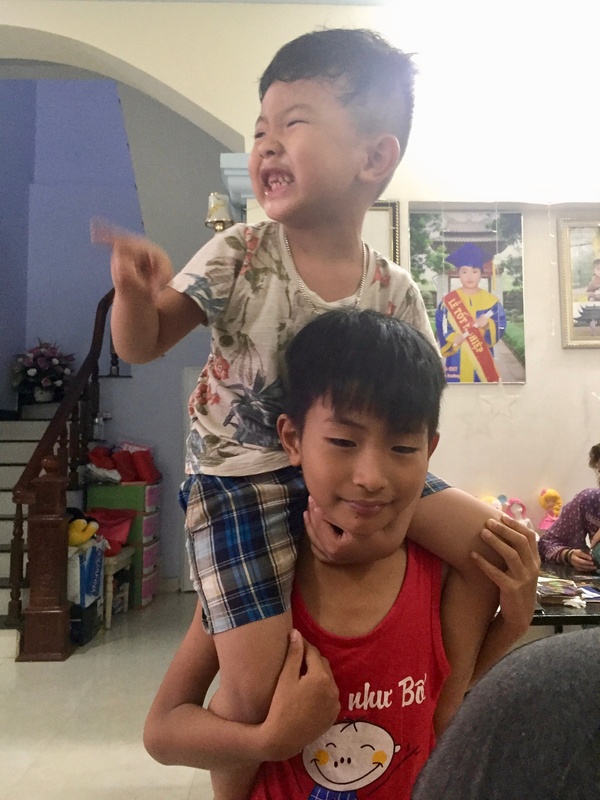 When I think of our experience on Cat Ba Island, I think back to the wonderful memories we made with the family we stayed with. Hands down, Cat Ba Mystery Homestay was one of the best places we've ever stayed. The owner, Lee, was an incredibly welcoming host from the get-go. As soon as we made the room reservation on Booking.com, he emailed us in detail, ensuring us that as a local and a travel agent, he could help arrange any activities or excursions we wanted. We felt like we were in good hands even before we arrived. Lee led us upstairs to our room: a large double bedroom with air-con and a private bathroom. It was simple, but it was just what we needed. We were beyond happy to have a bit more space in our room after our horrific closet-room experience in Hanoi. Not only did Lee rent us a motorbike, he booked a wonderful boat trip, gave us many travel and restaurant recommendations, made us the best, biggest breakfast every morning, and even treated us to two home-cooked meals with his family. The dinners were, of course, a highlight for us, as we got to experience authentic Vietnamese food with a bit of a coastal twist. Lee's grandfather even shared some of his homemade rice wine with us... yum! 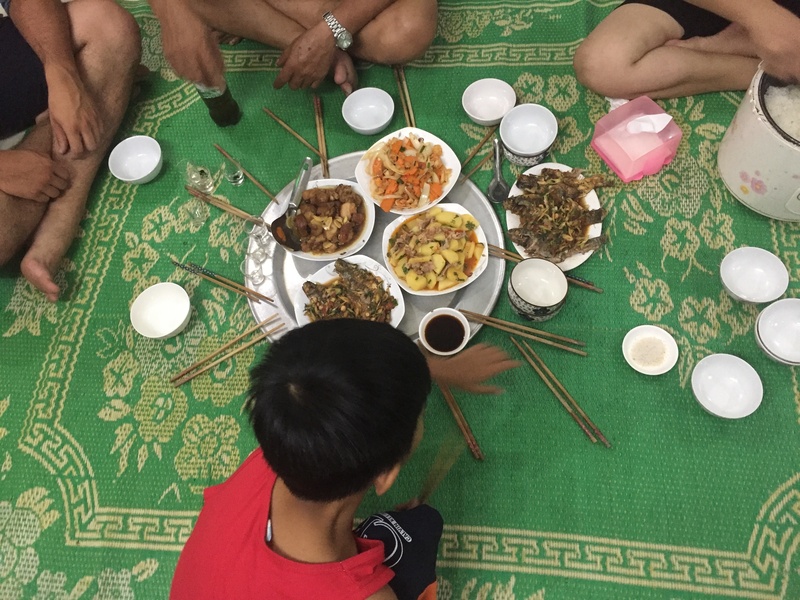 We will forever cherish the moments with Lee and his beautiful family at Cat Ba Mystery Homestay— sharing stories, laughs, a few cups of homemade rice wine, and, of course, delicious food. Despite the rainy, monsoon weather, we still made the most of our four days on the island. If you find yourself on Cat Ba, a boat trip is a must. It allows you to get off the island, see the stunning karst rocks, and even do some kayaking. Lee graciously booked our full-day boat trip through Cat Ba Locals, a renowned tour agency on the island. For $18 per person, this included all transports, sightseeing fees, kayaks, dry bags, a delicious Vietnamese lunch, water, and a great guide. A true steal, and worth every penny! A lovely French family, as well as a young French man who were all staying at Cat Ba Mystery Homestay joined us on the boat tour that day, so we were glad to have a few familiar faces on board. There were no more than 30 others on the boat, all from around the world and all different ages. 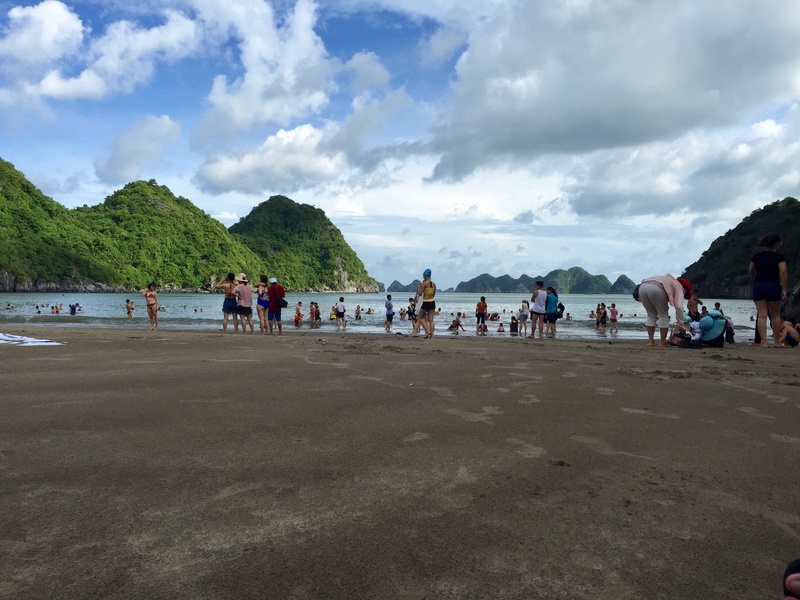 We stayed within the coves around Lan Ha Bay most of the time to avoid the rolling monsoon waves. Because we were sheltered by the towering karst rocks, it was so calm and quiet, giving us the peace to take in the unbelievable scenery around us. For me, there were two highlights: driving by the fishing villages and kayaking to secluded beaches. I had never seen a true fishing village before. I loved looking at the single-story, colorful floating homes and watching the fishermen relax on a rocking chair on their porches outside, waiting for the monsoon weather to die down. Underwater fishing nets surrounded most of the homes, where several not-so-nice dogs sat guarding the catches of the day. We made sure to keep our distance, especially on our kayaks. Kayaking was another highlight. It had been a long time since I'd kayaked, so it felt great to be close to the calm waters. The second beach we kayaked to was dubbed "Temple Beach" because of the small temple that was built right in the center of it. We loved exploring the tiny temple and relaxing in the beach's fine sand. After lunch, we kayaked to another beach that housed a beautiful secluded bungalow resort. There wasn't anyone there, though. We had our luxury moment swimming in the warm waters and taking in the mountain scenery around us. 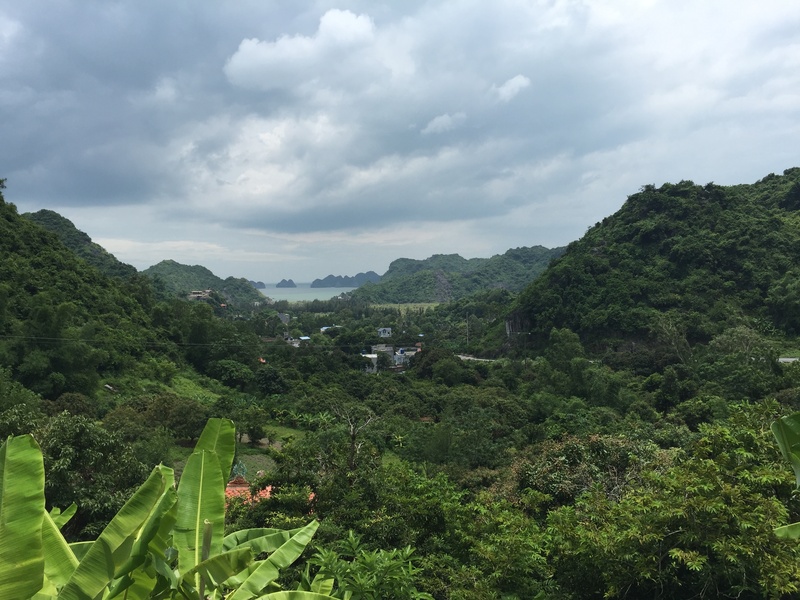 We were lucky to experience two drastically different caves on Cat Ba Island. The first? The Hospital Cave, which dates back to the Vietnam War. It was built between 1963 and 1965, with the help of the Chinese, not only as a bomb-proof hospital, but also as a safe house for Northern Viet Cong leaders. The three-story concrete cave hidden in the mountains of Cat Ba is incredibly well-constructed and preserved. 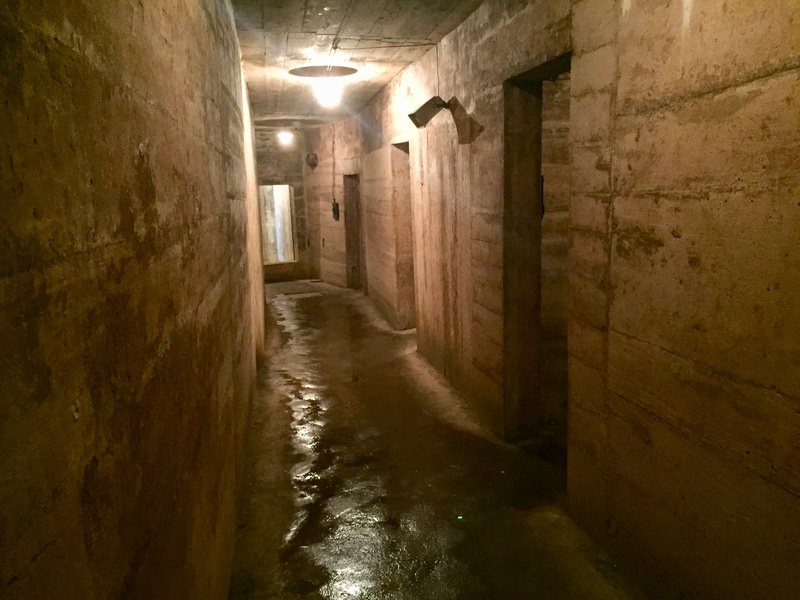 As soon as we walked into the dimly-lit first level, it felt eery. Aside from the sounds of water trickling from the ceilings and the muffled voices of a few small groups walking around the cave, it was deadly quiet... creepy! The first level is full of mostly empty rooms, but some are decked out with wax mannequins in army uniforms lying on operating tables or sitting around a table together. The second level is quite a bit smaller than the first, but is made almost entirely of natural rock. There, we found a natural swimming pool and learned the soldiers used the open area as a movie theatre. Now, it's full of war propaganda and old photographs, like the ones below. The third and smallest level of the cave was blocked off, but we found it was used as a safe-house for Viet Cong leaders. 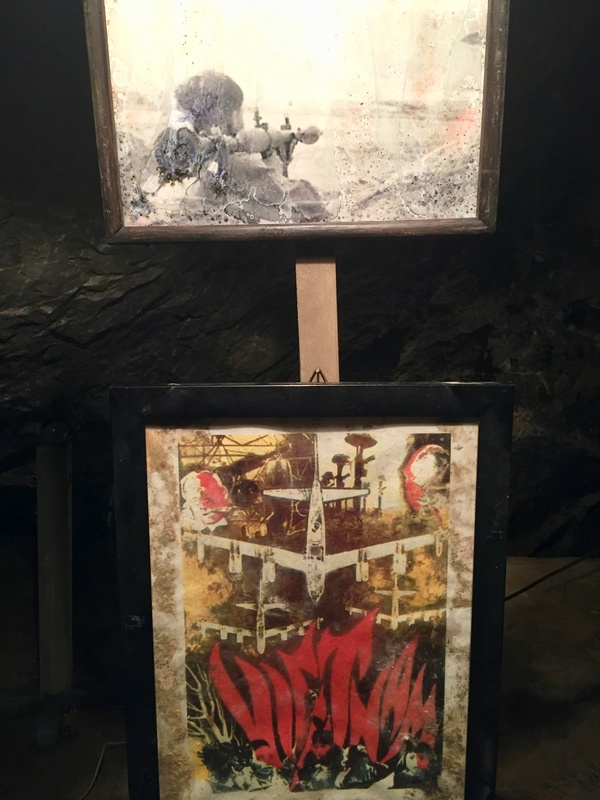 The Hospital Cave was a truly memorable experience that offers a unique, historical perspective into the Vietnam War. It was one of our favorite moments of the trip. 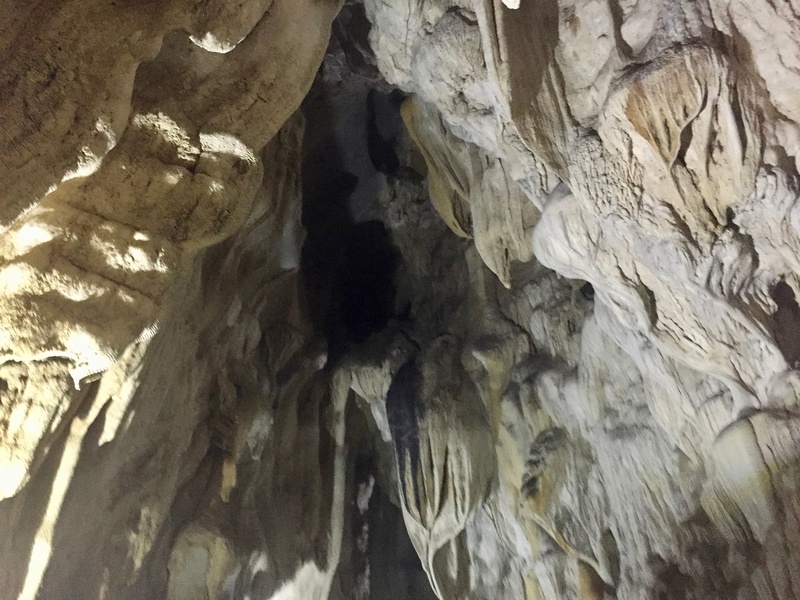 The second cave we visited was the Trung Trang Cave, located just outside of Cat Ba National Park. The cave is quite expansive at 300 meters long, and is absolutely breathtaking. Shimmering stalactites and stalagmites hang from the ceiling and jut out from the cave's floor everywhere you look. Bats flitter above. Cool water drips on your head as you duck through this marvelous cave. Though quite different from the Hospital Cave, the Trung Trang Cave is equally as impressive and worth the visit. Just be prepared for it to be closed unexpectedly in the rainy season— we tried to visit it more than one time to find it closed off to visitors. The beauty of Cat Ba Island is renting a motorbike and simply cruising the island. 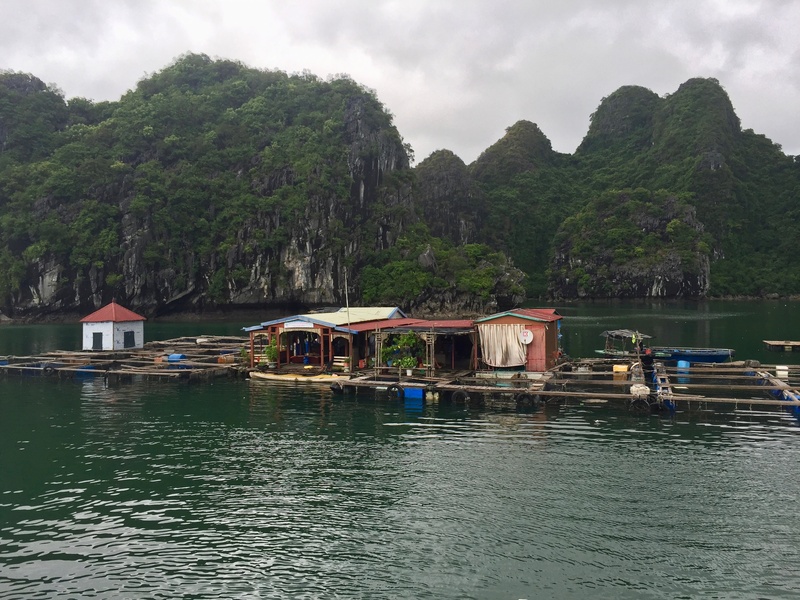 Between the jungle landscape, the coastal cliffs, and the towering karst rocks, Cat Ba makes for a perfect cruise. We didn't end up visiting Cat Ba's National Park because of the rainy weather, but we still ventured to the northern tip of the island. On our way there, we were driving down an open, flat stretch of road admiring the green mountains touring around us. Up ahead, we noticed something in the road. When we got a bit closer, we realized what it was: a six-foot long black cobra attacking its' prey. As soon as it heard the puttering motorbike engine, the snake slithered away into the tall grass, while the bitten frog hopped in the opposite direction. We wondered who had lost that battle, and we were thankful it wasn't us. The cobra was, by far, the most remarkable creature we saw. 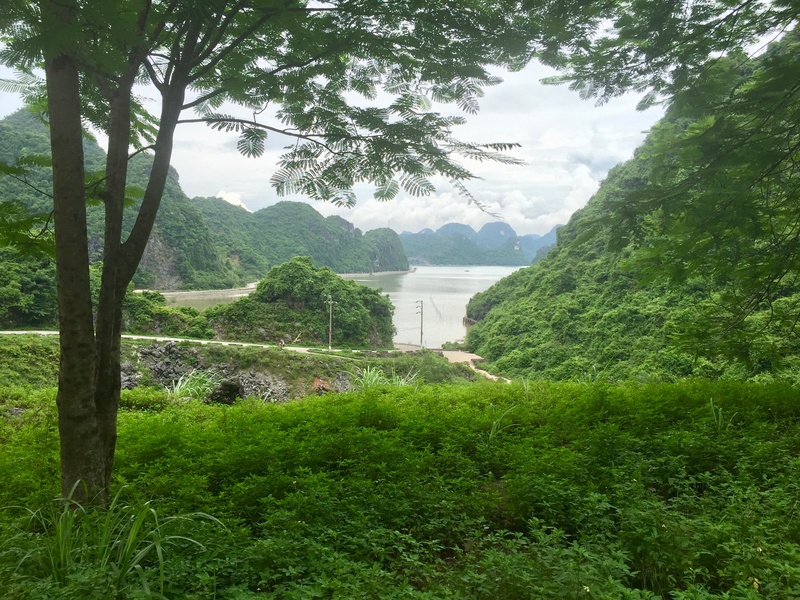 We enjoyed watching the mountain goats and water buffalo, too, but to me, the winding roads, bright green hills, and rocky coastlines trumped the few animal surprises we found along the way. 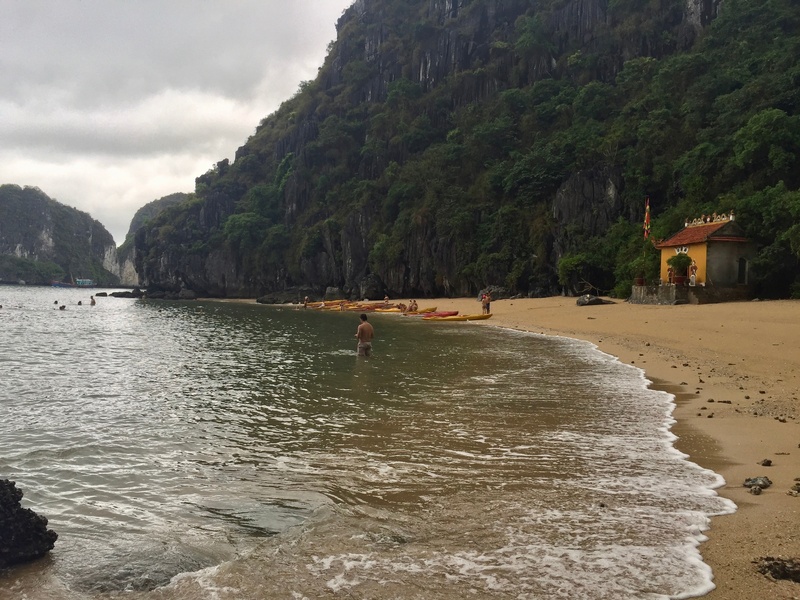 Between our boat trip and motorbike cruises, our cave adventures and wild animal sightings, and our time with our Vietnamese host family, Cat Ba Island was a memorable experience. We hope to make it back there someday.